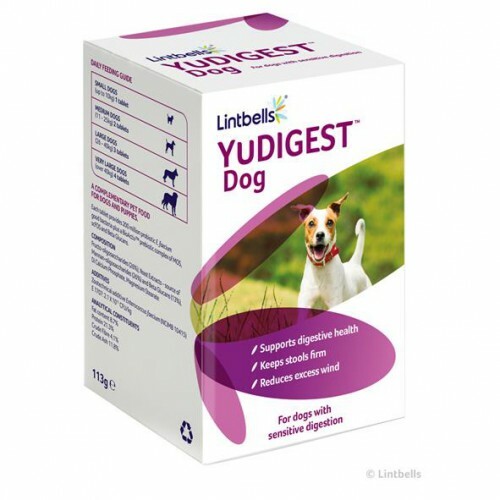 YuDIGEST is packed with the finest quality active ingredients to help keep your pet’s tummy in tip-top shape. Our unique BioActiv supplements bolster the natural population of health-protecting bacteria in your pet’s digestive system. They compete with ‘bad’ bacteria for nutrients and block points where the pathogens try to attach. Meanwhile, prebiotics – a special type of carbohydrate – benefit your pet by supporting ‘good’ bacteria. Each tablet provides probiotic E. faecium good bacteria, plus a BioActiv prebiotic complex of MOS, scFOS and Beta Glucans. These active ingredients work together to maintain a healthy natural balance in your pet’s digestive system to keep their tummies on track.